A stunningly beautiful piece is adorned with classic pearls. 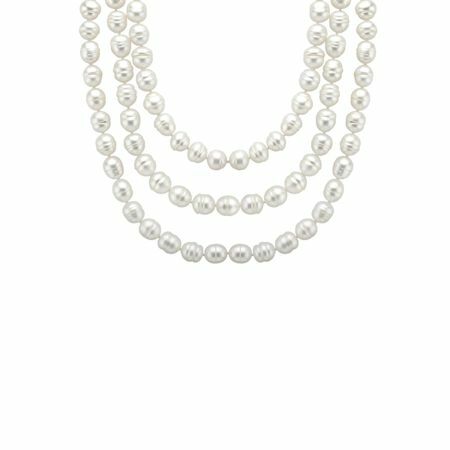 This continuous strand necklace features organically shaped freshwater ringed pearls that range between 10.5-11.5mm. The necklace is 60 inches in length and can be worn long, knotted or doubled up.